Sure, she's beautiful, but can she act? we're gonna need a bigger casting couch! 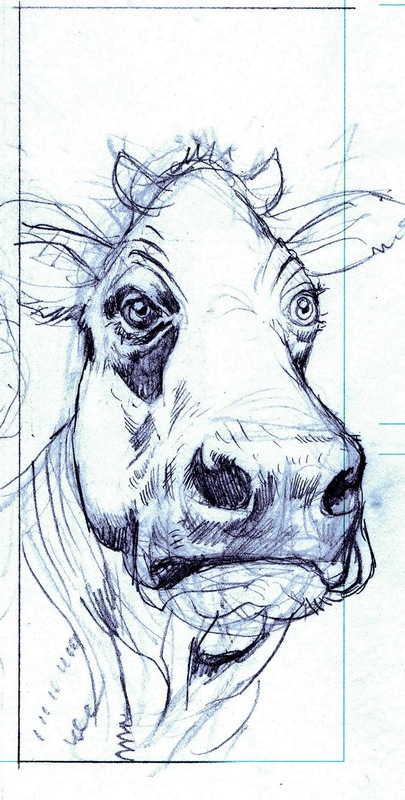 I think that's the best drawing of a cow I've ever seen. great sketch, I can feel the burden of being a cow! I was trying to give her the eyes of Loretta Young.